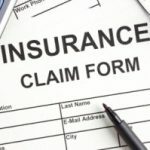 Last week, Suba Iyer wrote about factoring in the value of your benefits when evaluating compensation packages. That got me to thinking about the value of my benefits at the work, and so I did a bit of digging. As it turns out, my employer breaks everything down in terms of deductions from my pay alongside their contributions. By far the biggest fringe benefits associated with my job are our health insurance coverage and my employer’s retirement contributions on my behalf. In fact, their share of these two items totals up to nearly 17% of my take-home pay. And if I earned less (like many at my workplace do) the percentage would be even higher, as the health insurance is a fixed cost. Retirement contributions, on the other hand, are on a sliding scale. But this really just scratches the surface. If I had to buy the same health coverage on the open market, it would cost far more. The same goes for dental coverage — there isn’t an employer contribution for this, but our groups rates are far below what we’d get on the open market. I also get a very basic life insurance policy, accidental death & dismemberment coverage, etc. Oh, and they also match a portion of our HSA contributions. If you total it all up, my non-monetary compensation is easily worth 25% or more of what I’m actually paid. And, as noted above, that percentage is even higher for those on the lower end of the pay scale. Not too shabby. It’s also worth noting that, when compared to buying the same benefits ourselves, those benefit dollars are actually worth considerably more than “regular” dollars since they’re not subject to income taxes. What about you? Have you ever done the math on the value of your benefits? If so, what did you learn? 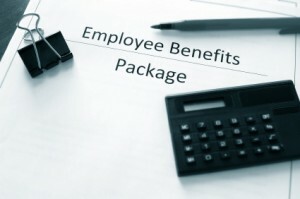 When considering any job offer too many people overlook the value of their benefit package. Often people are more concerned with their potential salary that they overlook the importance of benefits and other employee programs such as saving programs and other programs that benefit employees. Last year, my company started mailing total benefits statements to employees. This is a great way to see how much the company contributes on your behalf. There are plenty of employees that leave our company only to find the benefits are not as generous somewhere else. Hopefully, this helps retain our good employees. Good thing you are keeping track of this. There have been some proposals recently out of Washington DC which suggest that taxing the value of ones fringe benefits can help close the Federal budget gap.